“We are not myths of the past, ruins in the jungle, or zoos,” Maya human rights activist Rigoberta Menchú said in a 1992 interview shortly before she was awarded the Nobel Peace Prize. If she was speaking today, Menchú might have included “museum” among the list of things that Guatemala’s indigenous are not, after news of a proposed Maya museum in Guatemala City was announced last month. 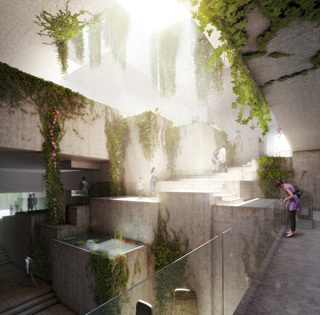 Dezeen magazine reported on the plans to build Central America’s largest museum of Maya artifacts, Museo Maya de América (Maya Museum of America), in the Guatemalan capital. This comes less than two years after Mexico opened two new Maya museums, one in the resort town of Cancun, the other in touristy Merida. 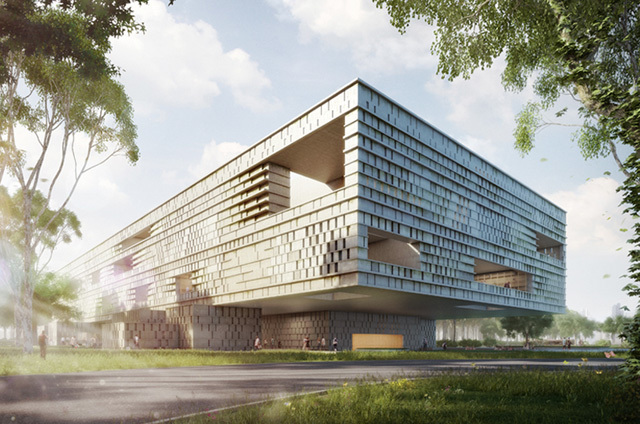 The $60 million construction of the new Guatemalan museum will begin in 2015 and will be completed through a public-private partnership, with the building scheduled to open in 2017. While the initial news of the museum was greeted with blind optimism in the press, a preliminary investigation by Hyperallergic into the realities of the proposed museum raises some serious questions about the exclusion of indigenous voices from the museum, the proposed museum site, and whether the institution would further weaken the public national museum that already exists. The architectural design, by Swiss firm Harry Gugger Studio and Boston’s over, under, is admittedly attractive, visually referencing traditional Mayan architecture. Openings punctuate its checkered stone exterior, drawing in air and light to naturally ventilate and illuminate the museum’s 600,000 square feet. At the heart of the building, an eight-story courtyard conjures the natural sinkholes that appear throughout the city and region and are held sacred by the Maya. That’s a hope-inspiring desire in a country whose leaders, just two decades ago, were engaged in the eradication of the same culture it now proposes to celebrate. More than 200,000 indigenous Mayas were murdered by the Guatemalan military during the country’s 36-year-long civil war in the late 20th century. Afterward, the country’s truth commission concluded that the military’s scorched earth campaign amounted to a form of genocide. The plight of the Mayas seems to have been improving in the past few years. In 2007, Guatemala ratified the UN Declaration on the Rights of Indigenous Peoples. In 2011, then-President Alvaro Colom publicly apologized for the 1982 massacre of the village of Dos Erres. And last May, a judge sentenced former president and general Ríos Mont to 80 years in prison for genocide and crimes against humanity — an unprecedented act of justice in the country’s history. But just when Guatemala seemed to be on the path toward reconciliation, the Mont ruling was annulled days later. Today, Guatemala is still one of the world’s most economically stratified countries, and though Mayas make up more than half of the population, they generally fare the worst. Out of every 10 Guatemalans living in extreme poverty, seven are indigenous, and racism still challenges their struggle for fair pay, reliable transit, and stable homes. Last year, a new wave of attacks against Maya land rights activists created concern that the violence and repression are far from a relic of the past. Now, some Mayas fear that the new museum may become another source of modern-day oppression. In an ironic twist, the location selected is at the northern edge of L’Aurora Park in Zone 13, where an indigenous Maya market hosting 55 businesses has existed for 40 years and is threatened with destruction. Museum officials say that placing the museum on the site of the market will make it immediately visible to those exiting the airport. The complaints about the museum’s location are not new, and two years ago, Jessica Miró, who helps her mother in the shop her family opened in the market decades ago, told the El Periodico newspaper that they had met with Paiz, and though he claimed the government would help relocate the businesses, he offered few specifics at the time. Last month, Israel Velasquez, who is president of the Tenants Association for the market, denounced the museum to La Hora. Velasquez told the publication that he is considering legal action. He believes the government is stealing indigenous land that benefits hundreds of craftsmen around the country in order to cede it to the private sector. “Billionaires are doing business under the table with the government,” he told the newspaper. Since then, representatives of the Institute for Tourism in Guatemala and the Maya Museum Foundation have said that they will ensure the shopkeepers do not lose their clients and will not have to pay a higher rent in a new location, though it’s still unclear how they will accomplish that. Either way, by forcing out the market, the museum will extinguish a slice of local history and a marketplace for indigenous artisans. 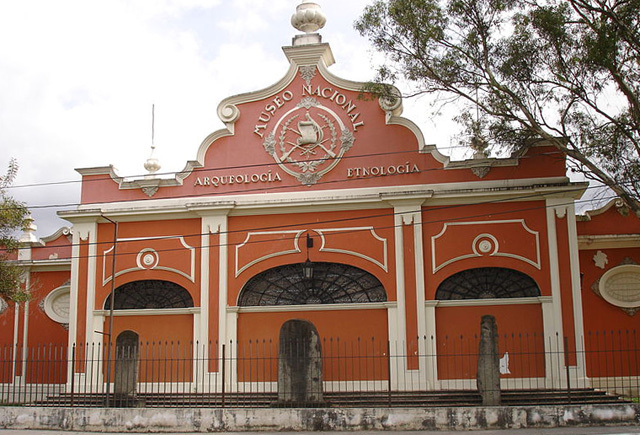 Some Guatemalan archeologists have also expressed fear that the project represents a privatization of the country’s national heritage, according to Plaza Publica. The new museum will accommodate the national collection of archeology, currently preserved in the public Museo Nacional de Arqueología y Etnología (National Museum of Archaeology and Ethnology). For the past few years, the National Museum has been seriously underfunded, which begs the question: why not strengthen the existing museum instead? Concerns have also been expressed about Paiz, the Maya Museum Foundation’s president who is believed to be the most influential private collector of Mayan antiquities. Paiz has openly admitted to purchasing many of his artifacts in markets, on the street, and from private individuals in the country. 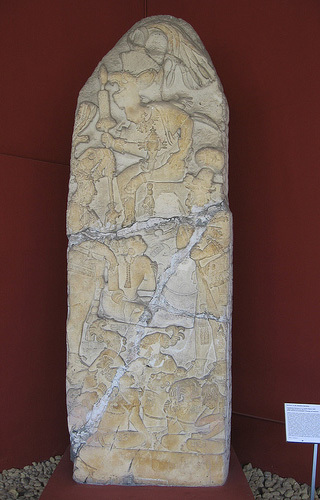 Purchasing and selling archaeological goods is illegal in Guatemala, as it is believed to encourage looting of archeological sites, but Paiz openly discusses his acquisitions, which many people believe could only have been acquired by dealers through some form of looting. Hyperallergic reached out to a few Guatemalan organizations for their perspectives and was able to speak to representatives with Cultural Survival, an indigenous rights organization. Cesar Gomez Moscut, a Pocomam Maya and activist with Cultural Survival, said he has mixed feelings about museums like the one proposed. 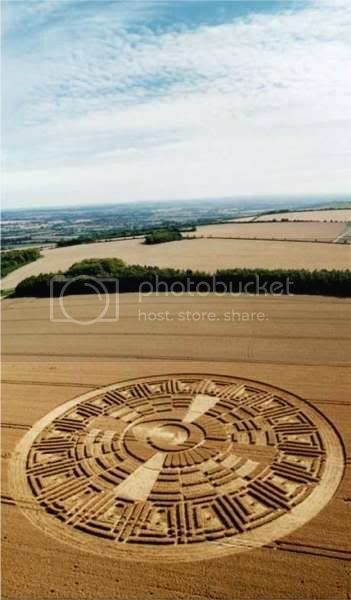 More often than not, they pay tribute to the Maya without actually being accessible to them.